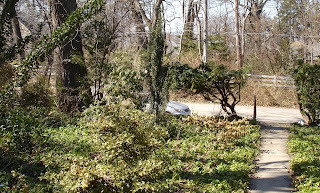 The Next Stage: Women and Retirement: Finally the debris has been removed from my garden. 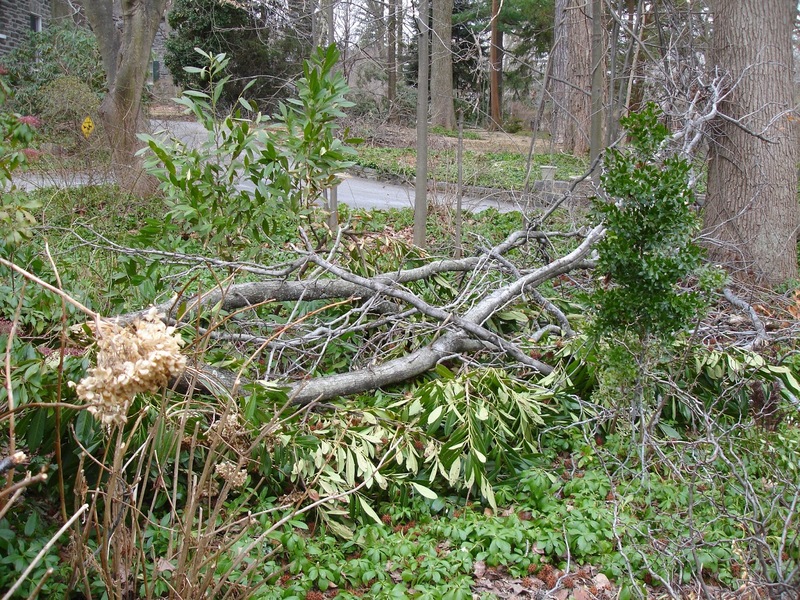 Finally the debris has been removed from my garden. Finally the debris has been removed from my garden. 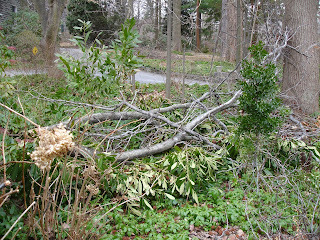 This winter’s storm left fallen tree limbs all over my garden. I had to wait until most of the snow was gone before I could get the debris cleared out. 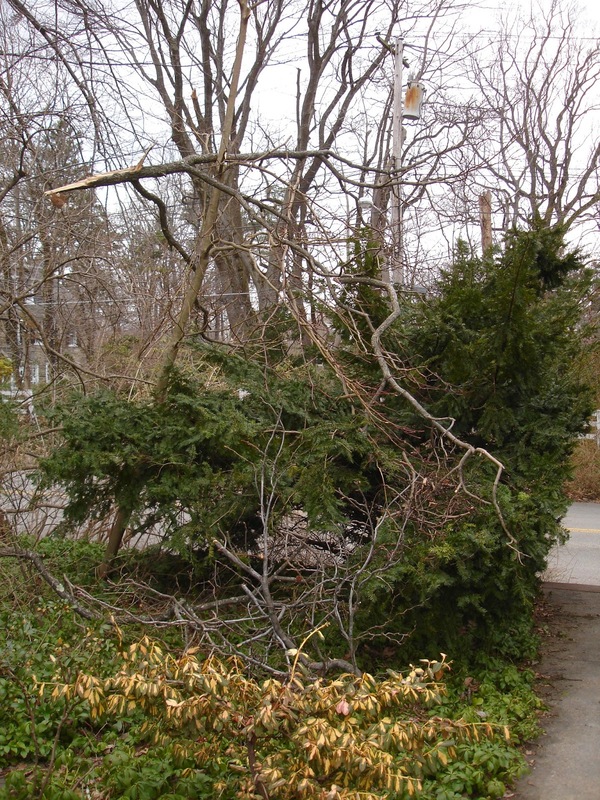 The good news is that most of my shrubs survived—in misshapen form perhaps but still more or less alive. 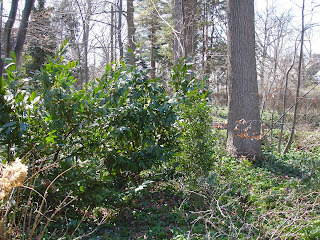 My English Laurel springing back to life. 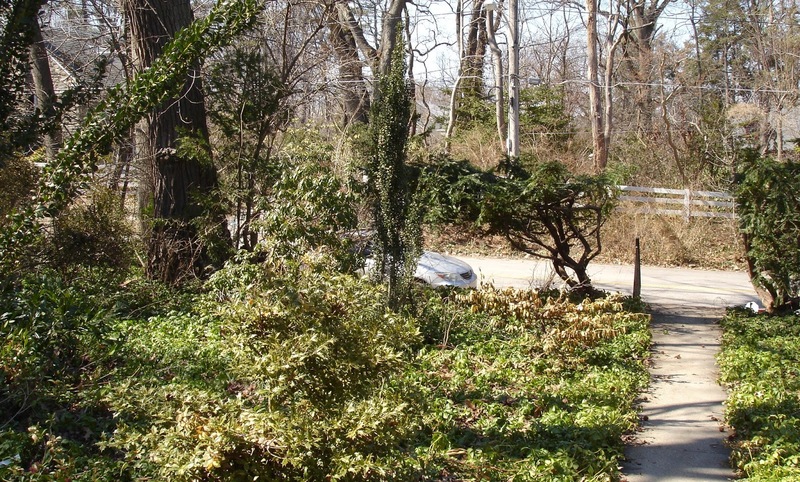 I can’t wait to get out there and finish the cleanup, plant a few pansies and maybe a shrub or two in the bare spots. It is snowing again (!!! 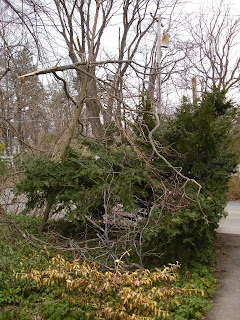 )as I write this, but I don’t think we will have storm conditions—with more flying tree limbs. Just don’t think I could deal with that.